In 2016, the San Antonio Humane Society partnered with Glenoaks Elementary School to create a program for students needing additional reading practice. Throughout the year a humane educator and canine companion visited the school and the students participating in the program took turns reading out loud to this special animal ambassador. 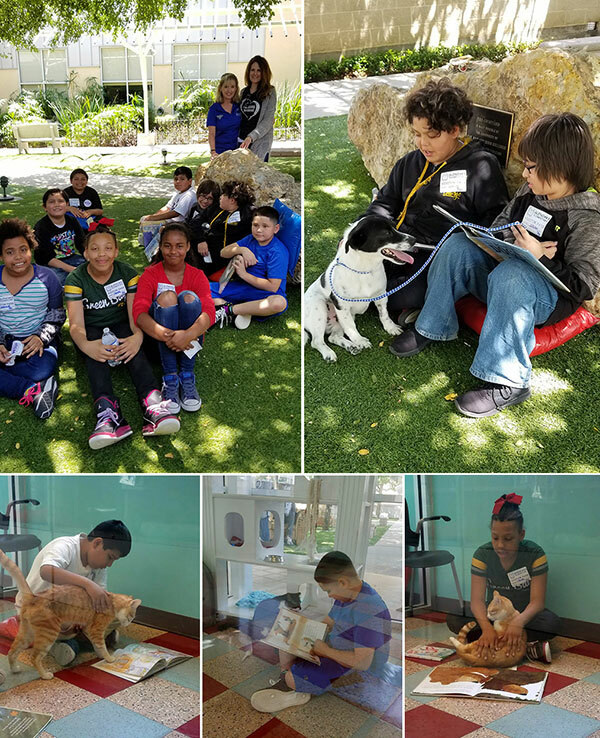 On alternating months, the students visited the San Antonio Humane Society to read to the puppies and kittens available for adoption. The benefits of this program were twofold – the kids were given a chance to practice reading in a comfortable, judgement-free zone, and the animals gained valuable social time. By the end of the year, the students’ reading abilities showed remarkable improvement, and scores jumped several levels for all students participating. In 2018, the SAHS has expanded this wonderful program to include several elementary schools in San Antonio. Questions about our reading program? Contact our Humane Educators on education@sahumane.org.